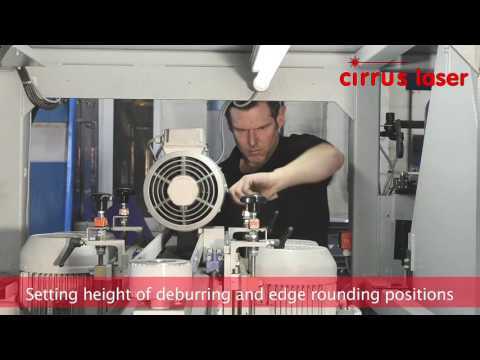 At Cirrus Laser parts can be cleaned, rumbled or linished, on site, to provide smooth burr free surfaces. To remove surface marks we use air operated orbital sanders with abrasive or scotch-brite disks. Scotch-brite is particularly useful for edge softening on aluminium parts and leaves a suitable surface for painting. Parts can be cleaned and sharp edges smoothed in our 200 litre vibratory rumbler. After rumbling, parts are transferred to the heated drying unit removing moisture from components prior to packing and despatch. Small components can be de-burred using our 150mm wide flat linisher. For larger items we use our 900mm wide flat linisher, which can also be used to produce a dull polished (DP1 / DP2) type finish to stainless steel. Both linishers have a variety of belt grits, ranging from coarse 36 grit, 80, 120, 180 and very fine 240 grit. 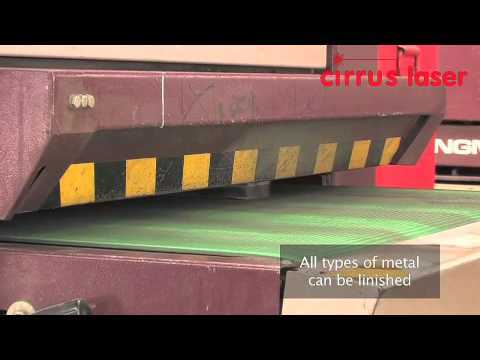 We also have conventional machines for various functions at Cirrus Laser. A Bridgeport manual mill is used for countersinking and reaming. Holes are tapped on our dedicated reversible air operated tapping machine. We also have a Pemserter machine for installation of self clinching nuts and studs and an air operated gun for fixing nutserts. Using our hand held Trumpf chamfering tool edges can be machined at 45 and 30 degrees or radiussed on large plates too big for the VMC. Additionally we can also offer wide ranging services for customers who require sub-assemblies or components fully finished with, for example, stud welding, zinc plating or painting. We offer other additional services that can be discussed during a tour of the factory. This can be arranged by calling Mike Martyn on 01273 252 563 or you can contact us.